The Gardner Police Department needs your help. The Kansas town set up a bunch of wildlife cameras in a park to try and get footage of a mountain lion. Instead, they got this. They posted the photos and asked for help from the public in ID’ing the creatures. We have included a few of these images for your review. We now have another different concern. 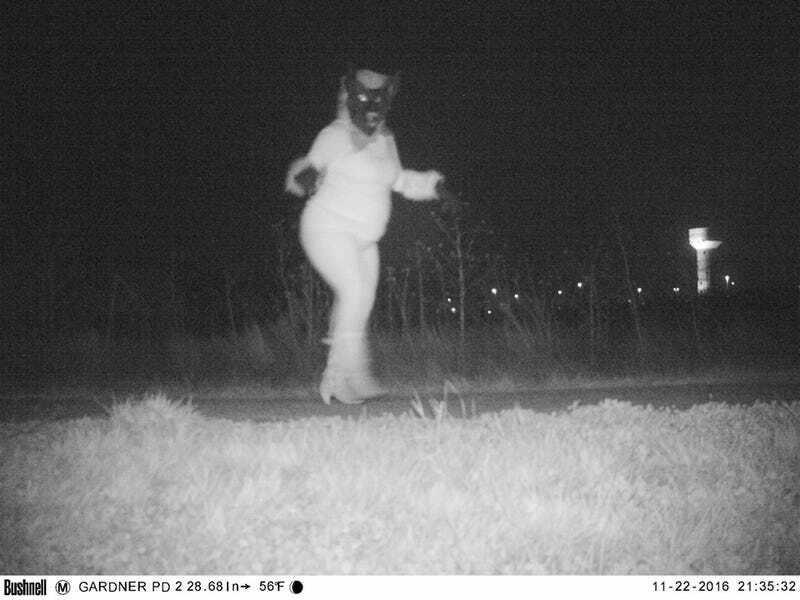 We are attempting to identify some of the wildlife and activity in these images. Deadspin readers are probably fairly animal literate bunch (especially with bears), so maybe you can help.